Most popular Toe Pads in a variety of styles by Eurotard, Sansha, Pillows for Pointe, Bunheads, and other top makers. 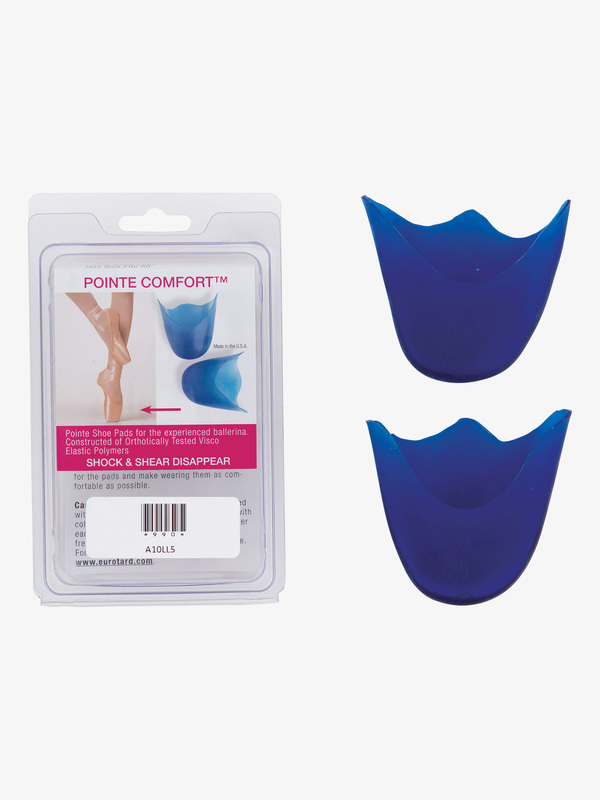 Russian Pointe Toe Pads RPPAD: Add the comfort you deserve. 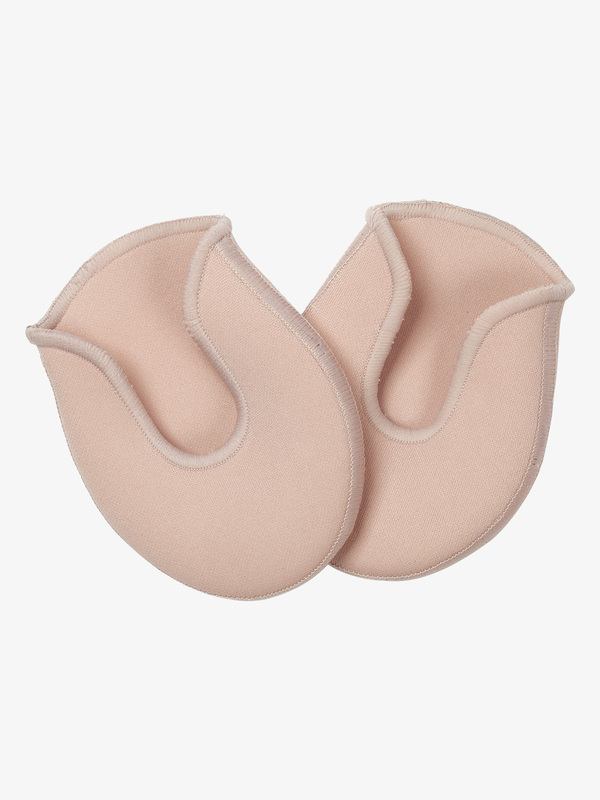 These RP toe pads feature cushion that is impact-resistance without feeling bulky, full toe coverage, deep vamp shape that fits perfectly under both U-cut and V-cut pointe shoes, and a sock-like-inch polyester outer fabric. Russian Pointe Toe Tape RPTAPE: Give your toes a break! Russian Pointe toe tape features a cloth-like adhesive material that conforms to the natural curves of your toes, feet, and ankles. Size: .75-inch wide & 15 yards long. Sansha Gel Toe Pad CGPAD2: Made with a comfortable blend of cotton and gel to provide optimal coverage and protection for toes and bunions. Features a sleek cut that is easy to conceal. Lightweight and washable. Sansha Breathable Toe Pads SBPAD3: These breathable, reinforced toe pads feature an innovative perforated design that is lightweight and washable. Sleek design offers excellent coverage, while easy to conceal. 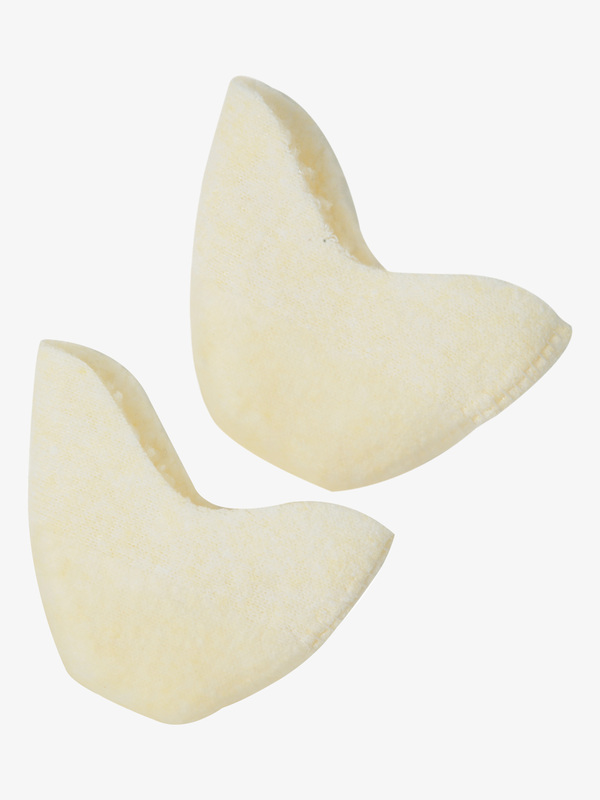 Toe Savers ToeSavers Mini Pointe Shoe Pads TSAV: ToeSavers are your wish come true. At last, a compact pad that performs outstandingly alone or in combination with other forms of padding. ToeSavers are made of Gelasti, an incredibly soft, yet durable, hypoallergenic gel that soothes while providing impact protection for your toes. Give your toes the TLC they have been aching for. Color availability varies. Each package comes with 1 pair of S/M and 1 pair of M/L pads. 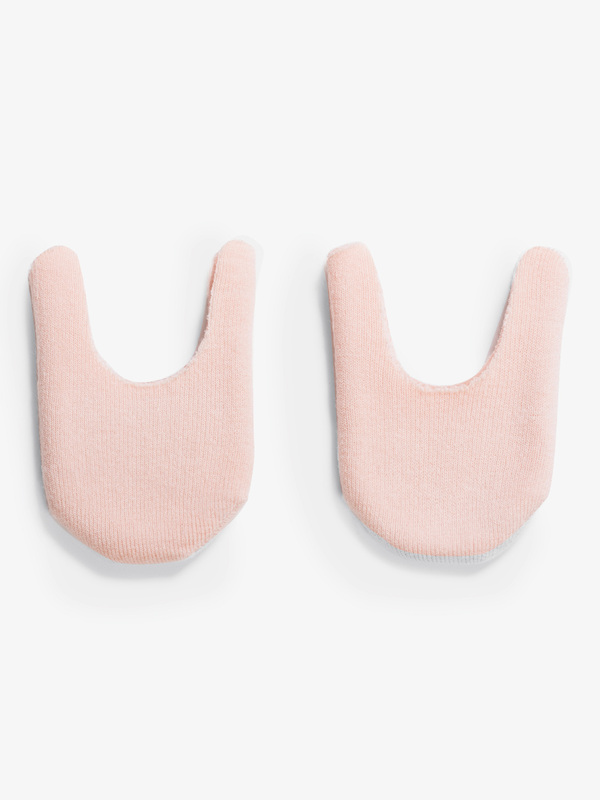 Ashley Bouder Toe Pad with Gel Padding NAB200: Designed by Principal ballerina Ashley Bouder, toe pads feature a thin layer of gel inside the fabric of the pads to offer protection without compromising the feel of the floor. Size: One size (M/L). Ashley Bouder is the Principal Ballerina for the New York City Ballet. When Ashley's not captivating an audience, she's heading up her collaborative non-profit The Ashley Bouder Project-inch which seeks to enable young, forward thinking artists. Ashley's unsurpassed precision and technique carry over into this gorgeous DDS exclusive collection that'll have you looking like the next prima ballerina! 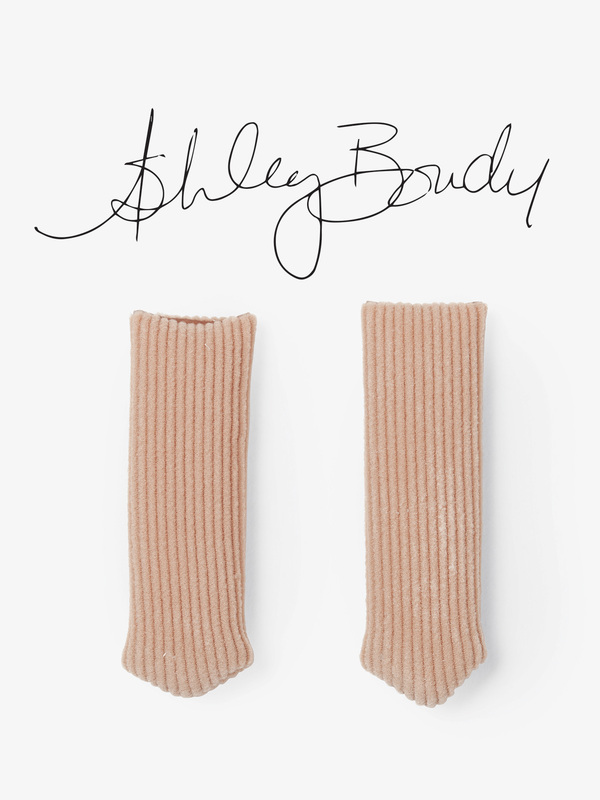 Ashley Bouder Silicone Gel Toe Pads NAB201: Designed by Principal ballerina Ashley Bouder, silicone gel toe pads allow the dancer to feel the floor while offering protection for the toes. Ashley Bouder is the Principal Ballerina for the New York City Ballet. When Ashley's not captivating an audience, she's heading up her collaborative non-profit The Ashley Bouder Project-inch which seeks to enable young, forward thinking artists. Ashley's unsurpassed precision and technique carry over into this gorgeous DDS exclusive collection that'll have you looking like the next prima ballerina! Ashley Bouder Faux Lambs Wool Toe Pad NAB202: Ashley Bouder faux lambs wool toe pads. Ashley Bouder is the Principal Ballerina for the New York City Ballet. When Ashley's not captivating an audience, she's heading up her collaborative non-profit The Ashley Bouder Project-inch which seeks to enable young, forward thinking artists. Ashley's unsurpassed precision and technique carry over into this gorgeous DDS exclusive collection that'll have you looking like the next prima ballerina! 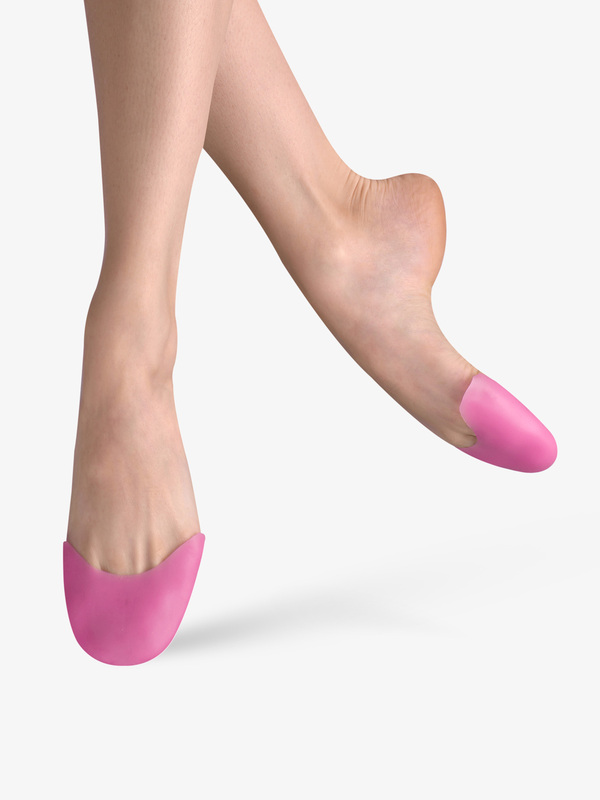 Ashley Bouder Silicone Toe Spacer NAB203: Designed by Principal ballerina Ashley Bouder, toe spacers are designed to prevent and treat bunions. Comes with 4 spacers per pack. Ashley Bouder is the Principal Ballerina for the New York City Ballet. When Ashley's not captivating an audience, she's heading up her collaborative non-profit The Ashley Bouder Project-inch which seeks to enable young, forward thinking artists. Ashley's unsurpassed precision and technique carry over into this gorgeous DDS exclusive collection that'll have you looking like the next prima ballerina! Ashley Bouder Silicone Jelly Tips NAB204: Designed by Principal ballerina Ashley Bouder, these silicone jelly tips will help to prevent injured toes. 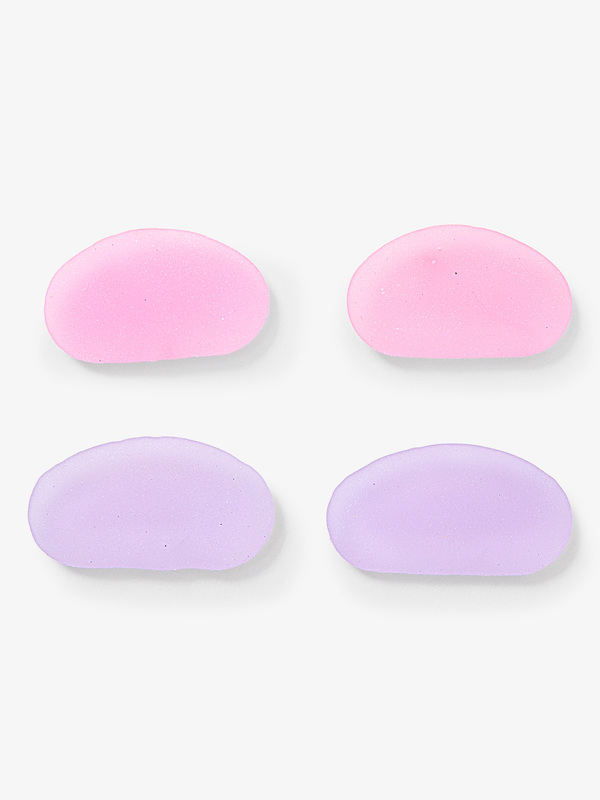 The inside of jelly tips is coated in a layer of protective silicone. Can be cut to desired length. Ashley Bouder is the Principal Ballerina for the New York City Ballet. When Ashley's not captivating an audience, she's heading up her collaborative non-profit The Ashley Bouder Project-inch which seeks to enable young, forward thinking artists. Ashley's unsurpassed precision and technique carry over into this gorgeous DDS exclusive collection that'll have you looking like the next prima ballerina! 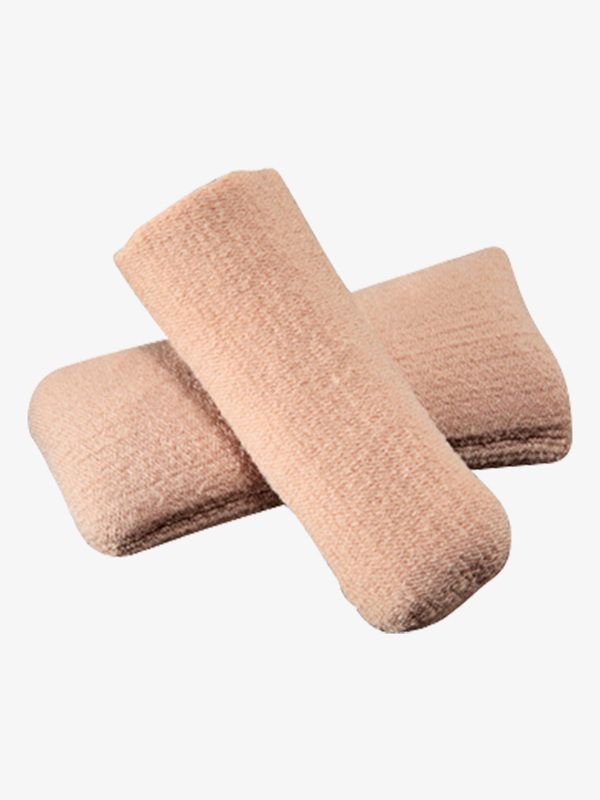 Bunheads Original Ouch Pouch BH005: Ouch Pouch toe pads by Bunheads are made of a thin layer of gel material inside a fabric pouch. Cushioning covers the ball of the foot as well as the toes. Soft seams flatten on pointe. Can be cut to size. 2 per pack. 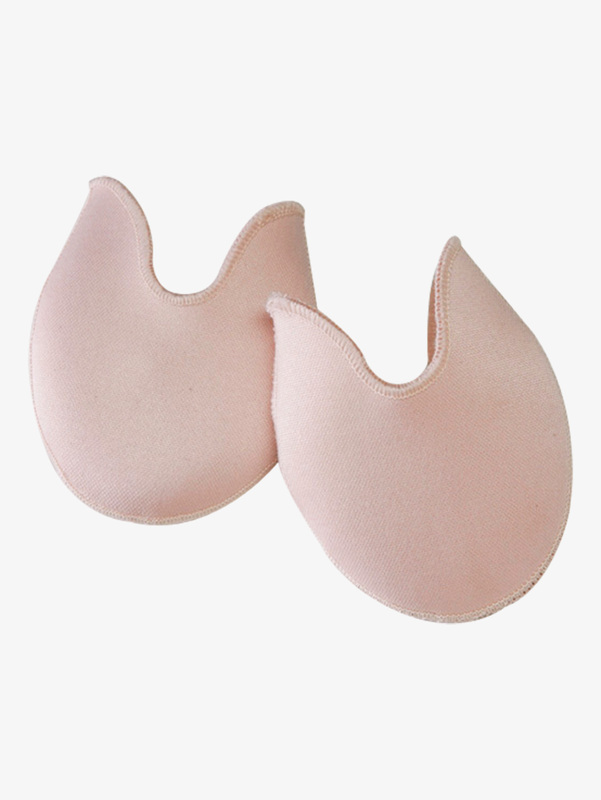 Bunheads Pinky Pads BH1040: This conical pad was designed for the fifth digit but can be comfortably worn on any of the small toes. Made of a supple polymer gel, this pad will help to prevent or provide relief from corns or blisters. Contains 6 conical gel pads. Bunheads Space Pack BH1045: A Spacemaker by Bunheads placed between the first two toes aligns the big toe with the big toe joint to aid in the treatment and prevention of bunions. This helps to alleviate pressure and reduce inflammation of the bursa. Spacers are less stocky than the Spacemakers. They should be placed between any of the other toes to help prevent nails from cutting into adjacent toes. Also takes pressure off of soft corns. 1 pair of Spacemakers and 1 pair of Spacers per package. 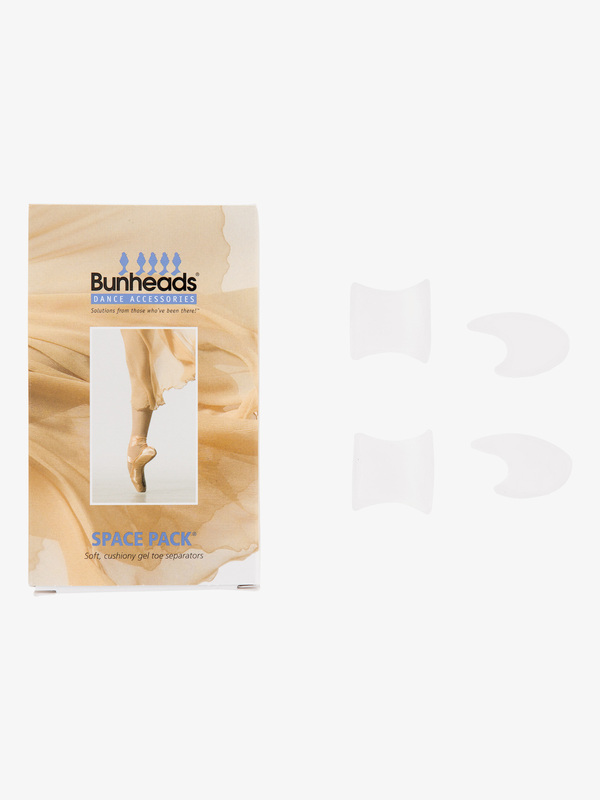 Bunheads Spacemakers II BH1049: Place these spacemakers between the first two toes to align the big toe and better aid in the treatment and prevention of bunions. Spacemakers also help to alleviate and reduce inflammation of the bursa. Bunheads Big Tip BH1051: These are larger versions of the Jelly Tip by Bunheads, but specifically designed for the big toe or larger toes. Be sure to cut to length so that circulation isn't compromised. Great for male dancers, too. 2 per package.Size: One size fits most. Bunheads Small Ouch Pouch BH1054: New & Improved Design by Bunheads! 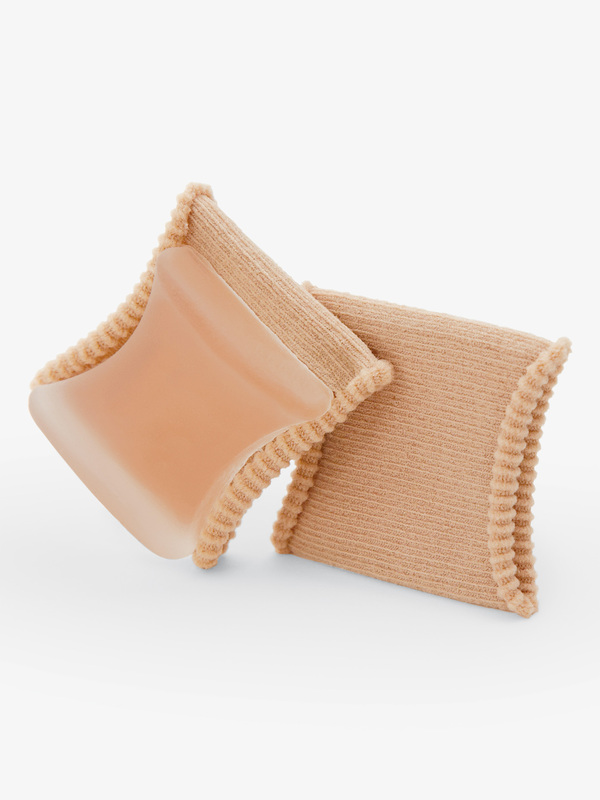 This new small Ouch Pouch design offers more coverage in the bunion areas, a deeper cut vamp to better match the line of the pointe shoe, a sleeker shape that hugs the foot and keeps pads from sliding or bunching up. Approximate pointe shoe sizes 1-5. 2 per pack. Bunheads Large Ouch Pouch BH1055: New & Improved Design by Bunheads! 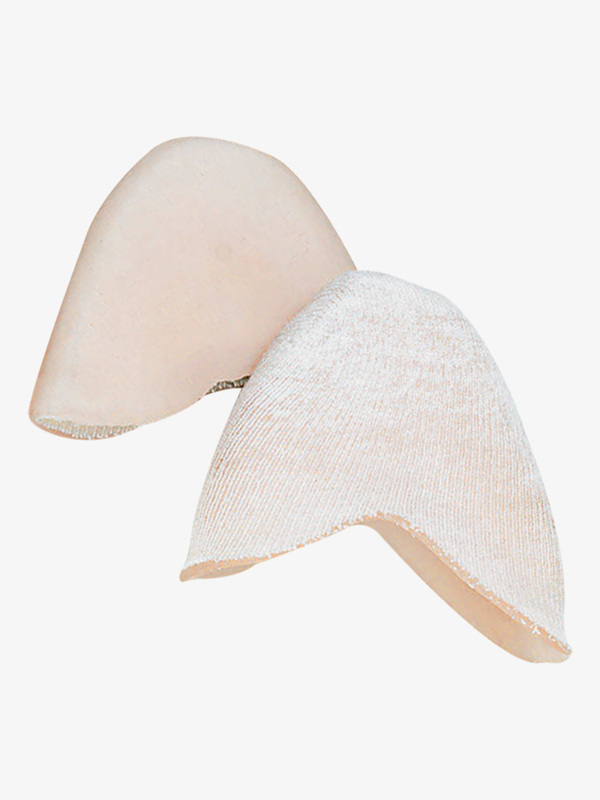 This new large Ouch Pouch design offers more coverage in the bunion areas, a deeper cut vamp to better match the line of the pointe shoe, a sleeker shape that hugs the foot and keeps pads from sliding or bunching up. Approximate pointe shoe sizes 6-10. 2 per pack. Bunheads Ouch Pouch Jr. Small BH1094: The Ouch Pouch Jr. by Bunheads is great for smaller or wider feet and for those who want only the toes cushioned. Approximate pointe shoe sizes 1-6. 2 per pack. Bunheads Ouch Pouch Jr. Large BH1095: The Ouch Pouch Jr. by Bunheads is great for smaller or wider feet and for those who want only the toes cushioned. Proprietary gel formulation helps prevent 'wear spots' or 'bottoming out'. Approximate pointe shoe sizes 7-10. 2 per pack. 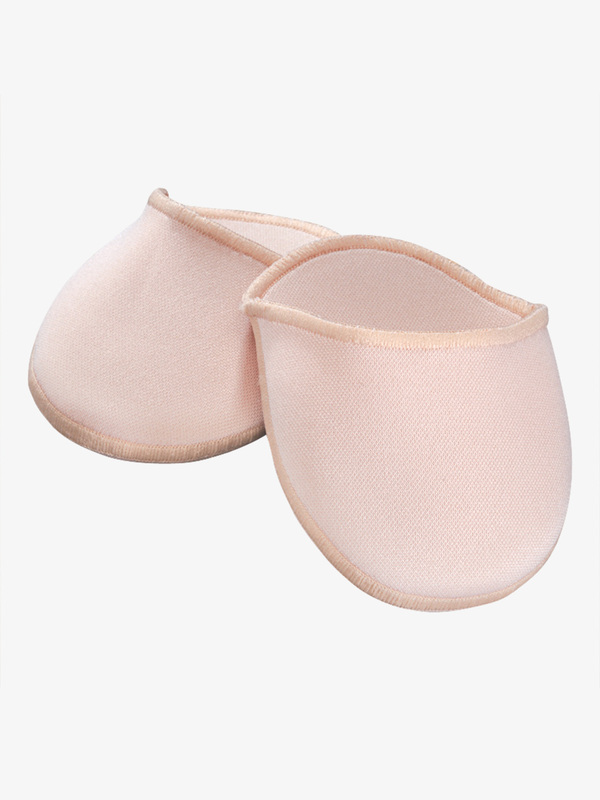 Capezio Cozy Toes Gel Pads BH006U: The Capezio Cozy Toes gel pads are a welcome relief to every dancer's feet. Pads feature a medical grade gel that adds comfort, and Cotton/Spandex fabric that provides moisture absorption and grip. 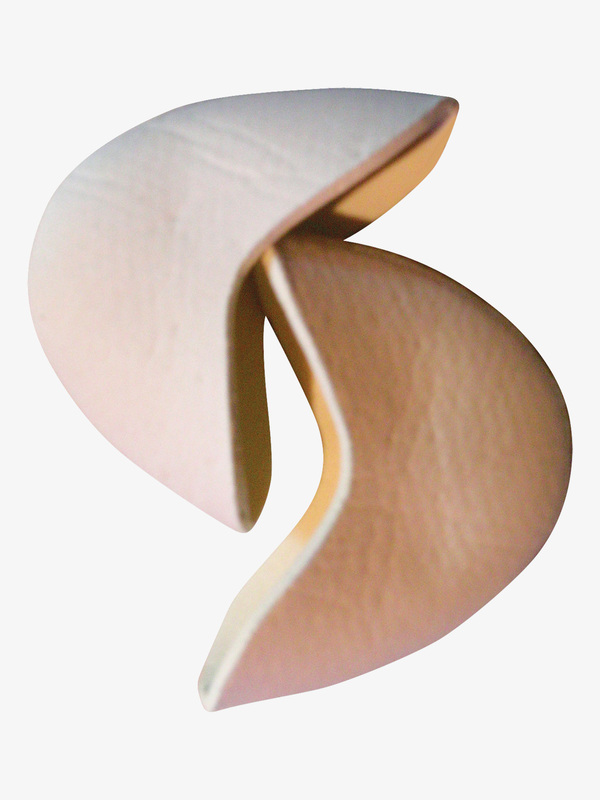 The shape of the pad hugs the foot and keeps them from sliding or bunching, while the soft flattens on pointe. Danztech Big Toe Bunion Pad TSTJ: DanzTech's big toe bunion pad is made with Gelastic, the most shock absorbing gel available, providing superb impact protection while its hypoallergenic components soothe your toes. Can be trimmed for custom fit. Hand wash, air dry and apply baby powder. Assorted colors: pink, green, blue, and white (color will vary). 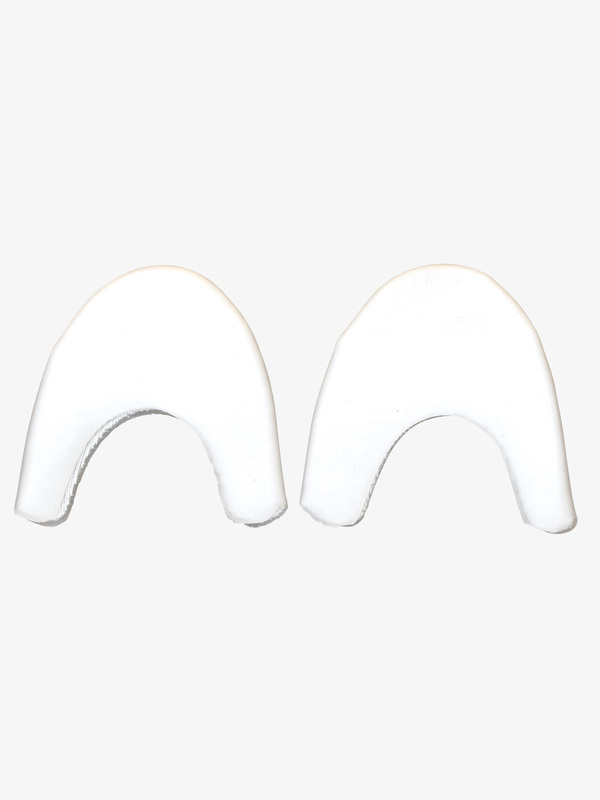 Eurotard Pointe Comfort Toe Pads 990: Pointe Comfort toe pads by Eurotard are constructed of orthotically tested visco elastic polymers. This pure, soft, supple product was designed for the serious dancer to make performing more enjoyable and possibly extend the life of your career. Eurotard Feather Lites Gel Toe Pads 990FL: The Feather Lites gel toe pads are available in two fashion fun colors and feature the ability to feel the floor while still protecting the toes. Color varies, will come in either pink or purple.Size: One size fits most. 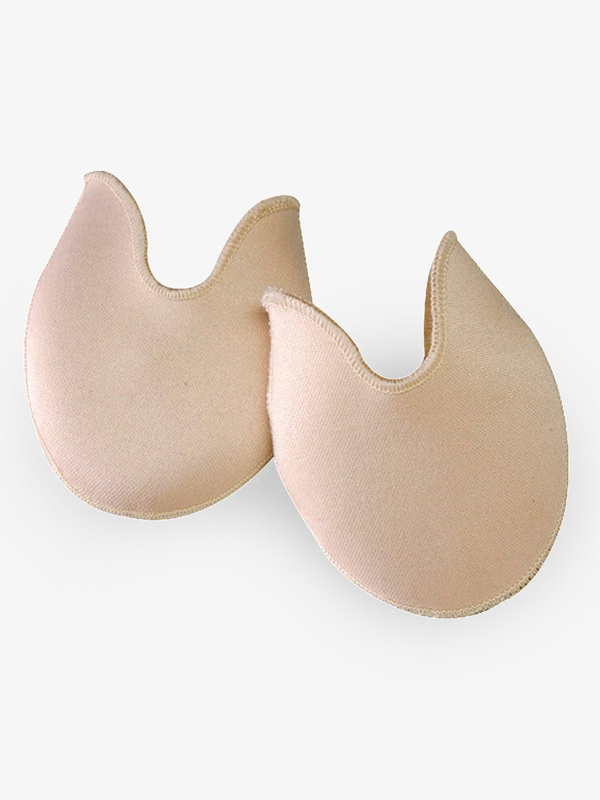 Eurotard Pointe Comfort Ultra Lite 990U: Pointe Comfort Ultra Lite pointe shoe pads by Eurotard allow the dancer to feel the floor. 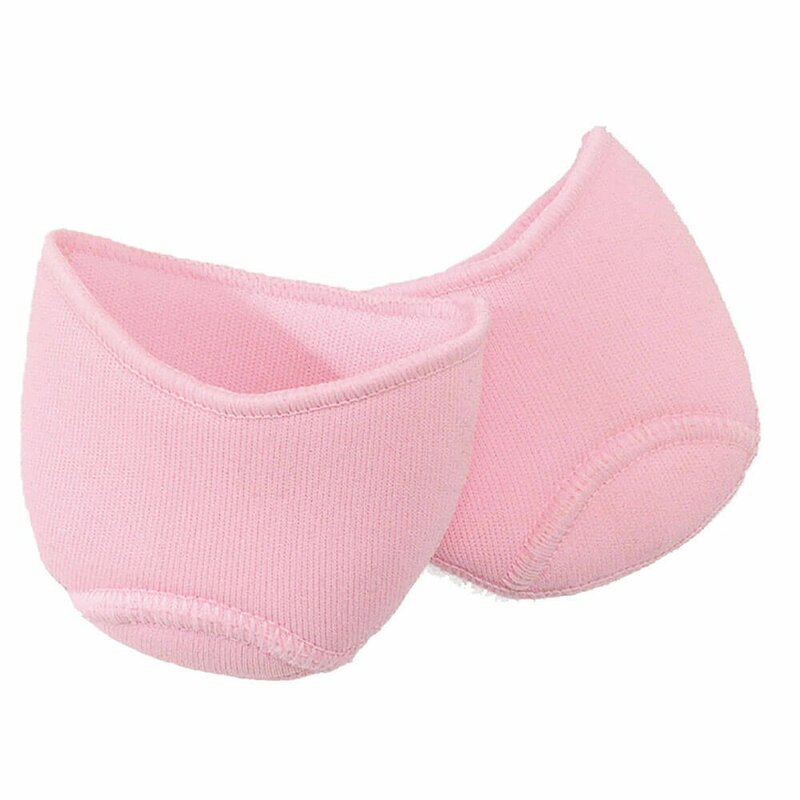 This soft, supple product is the clear choice for all ballerinas in training.Size: One size fits most. 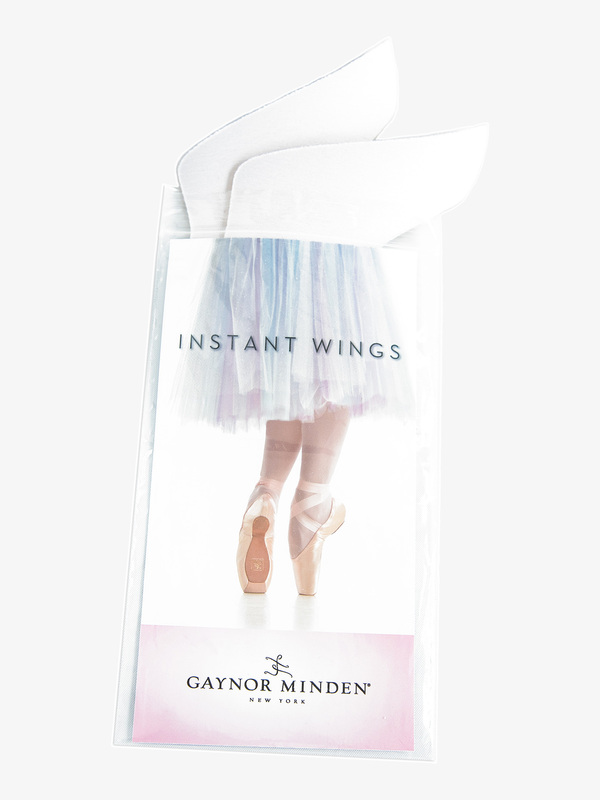 Gaynor Minden Instant Toe Box Wings SAF124: Enjoy the extra security and comfort of a winged-inch toe box without the expense or delay of a special order. Firm, resilient Instant Wings provide cushioned support - just where you need it. Simply fold each wing in half and slide it into the toe box; your foot with keep it in place. Instant Wings are made from real Poron Performance Cushioning which carries the American Podiatric Medical Association's Seal of Acceptance. Three sizes available. 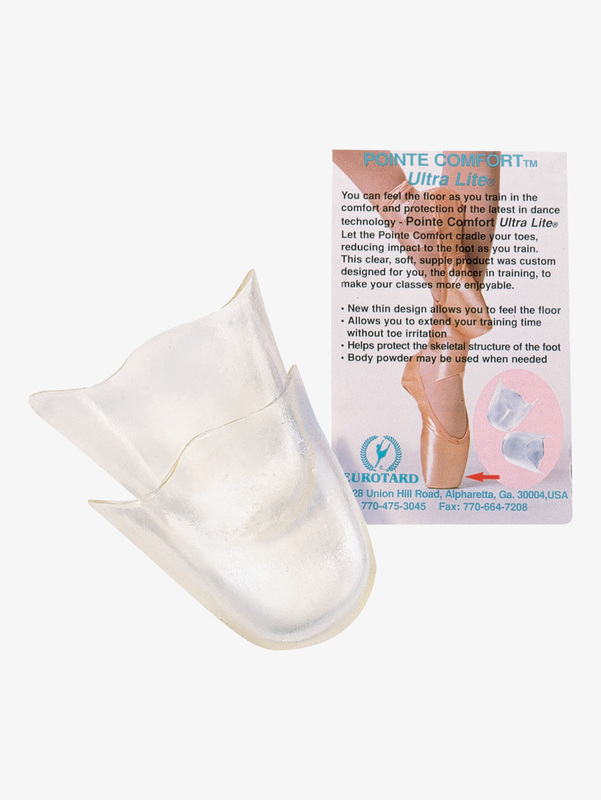 Leo's Soft Pointe Toe Pads LS6300: Thess Soft Pointe gel toe pads feature an odorless polymer gel and are one of the softest gel toe pads available. 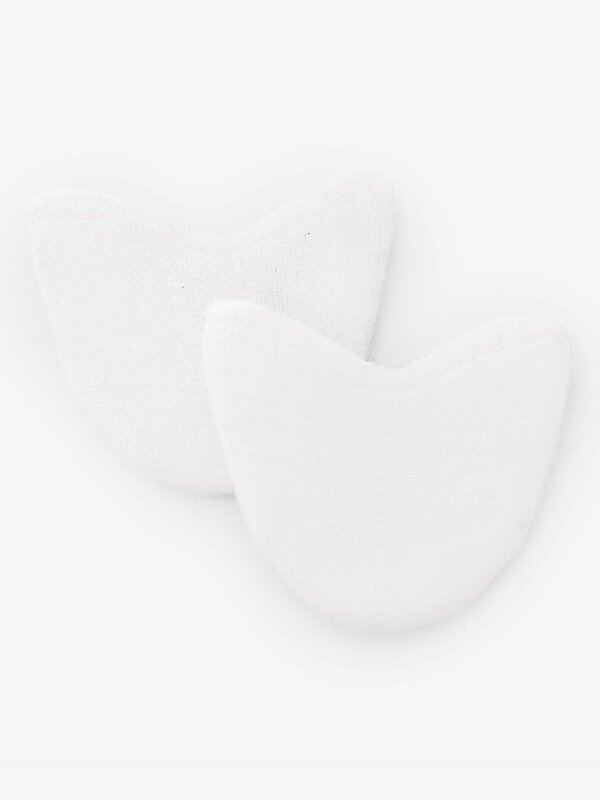 Toe pads are resistant to skin oils and are tear resistant while still easy to trim for the perfect fit. Refresh with talcum powder when needed. Size: Size: One size fits most. 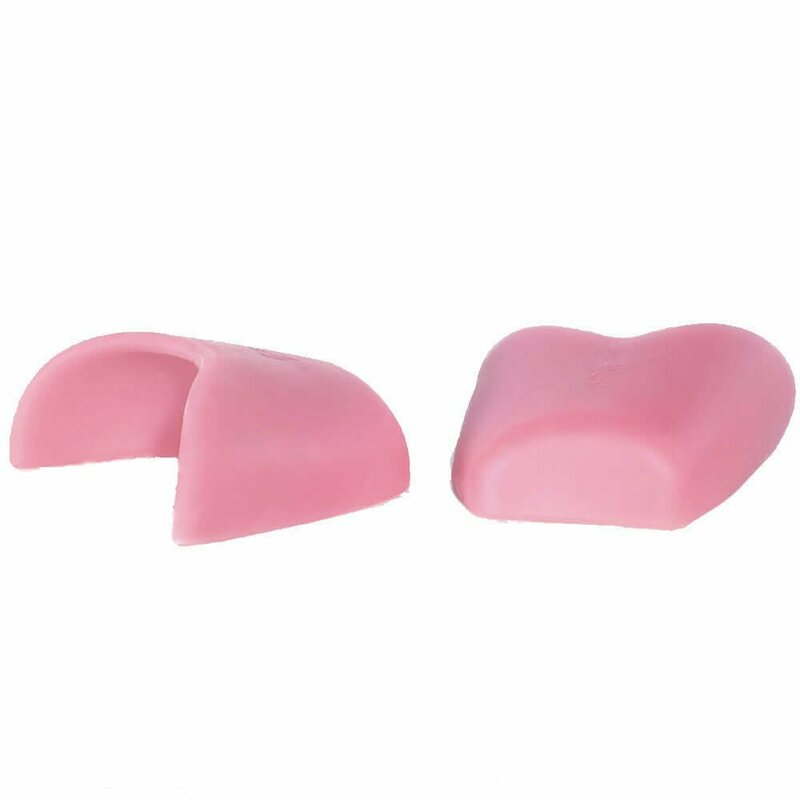 Pillows For Pointe Foam Rubber Toe Pillows FRTP: These foam rubber toe pillows make dancing on pointe more comfortable. 1 pair per pack.Sizing:Small fits 13-13.5 pointe shoes, Medium fits 1-3 pointe shoes, Large fits 3.5 and over point shoes. 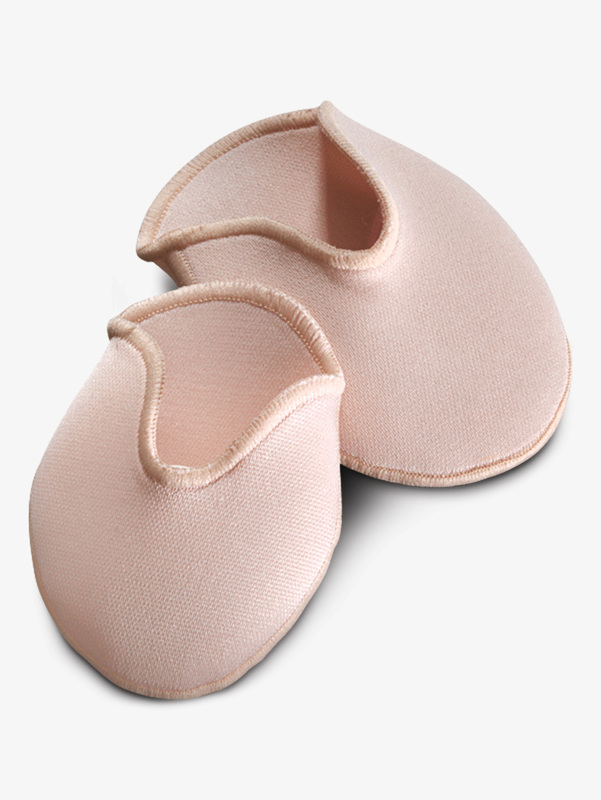 Pillows For Pointe Gellows GEL: Pillows for Pointe Gellows-inch reversible seamless toe pad. Item can be cut to desired length. 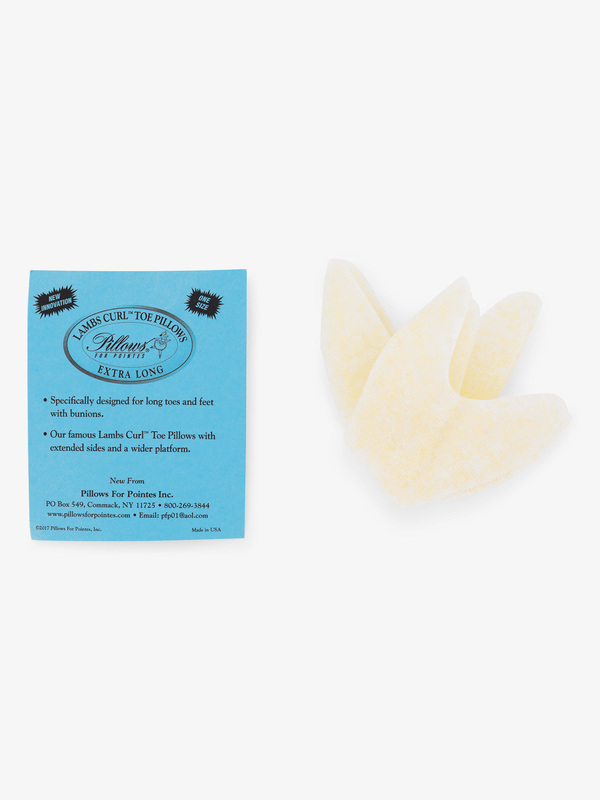 Pillows For Pointe Xtra Long Gellows GELX: Pillows for Pointe introduces the first toe pads specifically designed for long toes and feet with bunions. The inside features an absorbent seamless sock and can be cut to fit. Hand wash and air dry. Sizing: One size (size 4.5+ pointe shoe). Can be cut to fit. 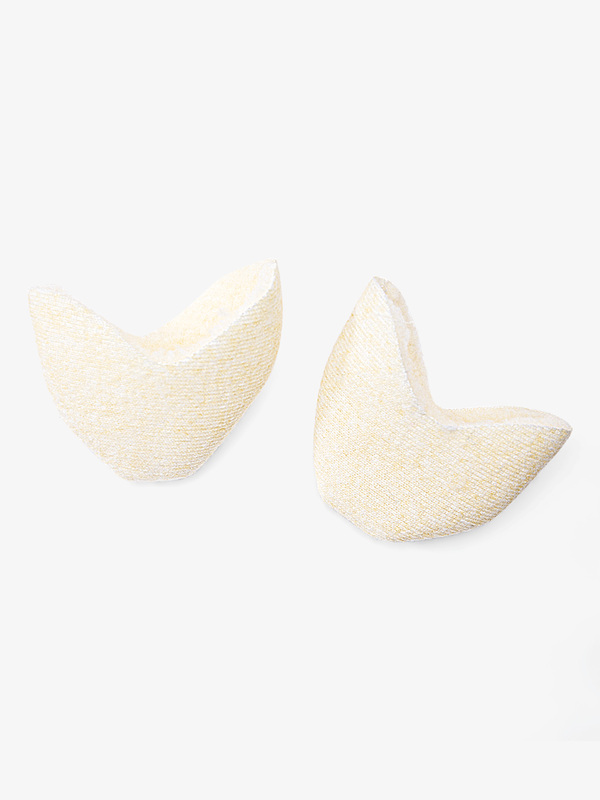 Pillows For Pointe Gel Pointe Shoe Cushions GPC: These Pillows For Pointes cushions are used to reduce impact en pointe. They are hypo-allergenic, washable, reusable and can be cut to size. 1 pair per pack. Pillows For Pointe Gel Tip Toe Pillows GTTP: Lambs Curl Toe Pillows are now combined with a unique gel tip!Sizing:Small fits 13-13.5 pointe shoes, Medium fits 1-3 pointe shoes, Large fits 3.5 and over point shoes. 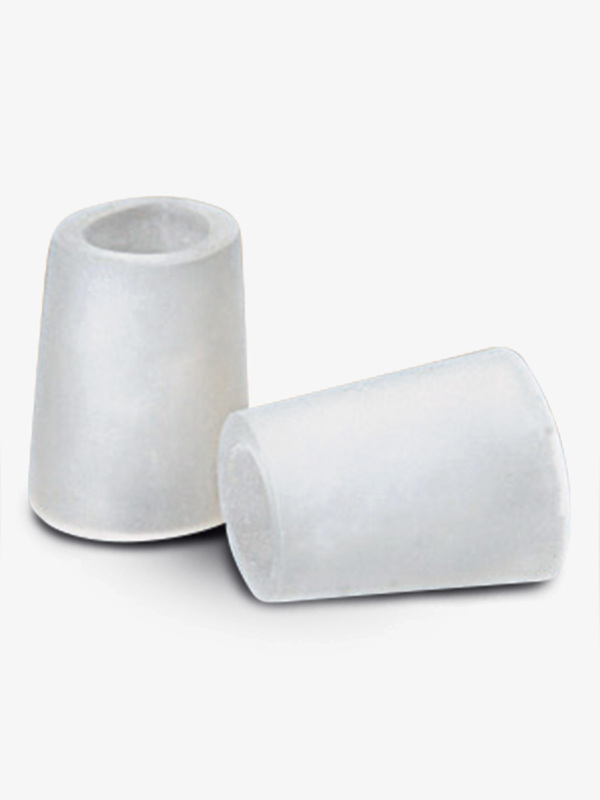 Pillows For Pointe Xtra Long Gel Tip Toe Pillows GTTPX: Designed for dancers with long toes or feet, these pillows are a combination of Pillow for Pointes' Lambs Curl Toe Pillow and a unique gel tip. 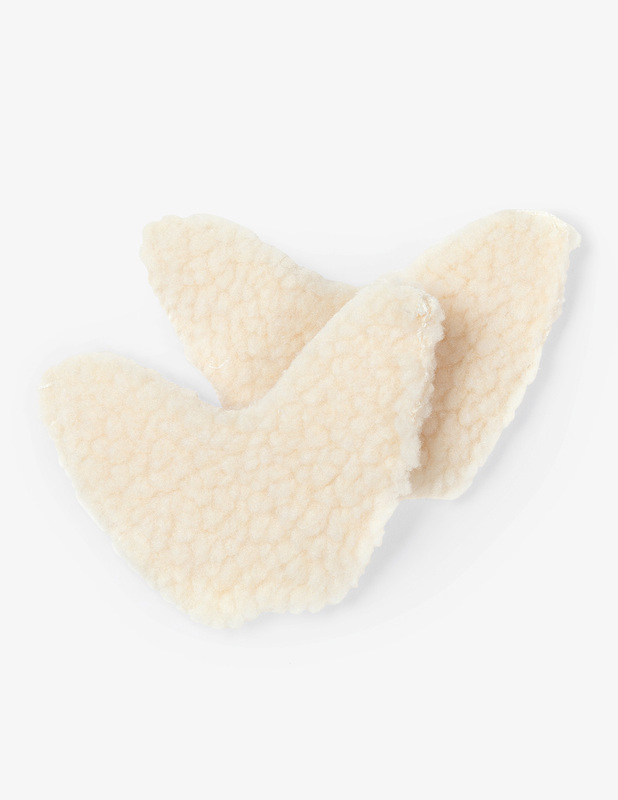 Pillows For Pointe Lambs Wool Pillows LCTP: Soft, Lambs Curl Toe Pillows with the exclusive Soft Seam. 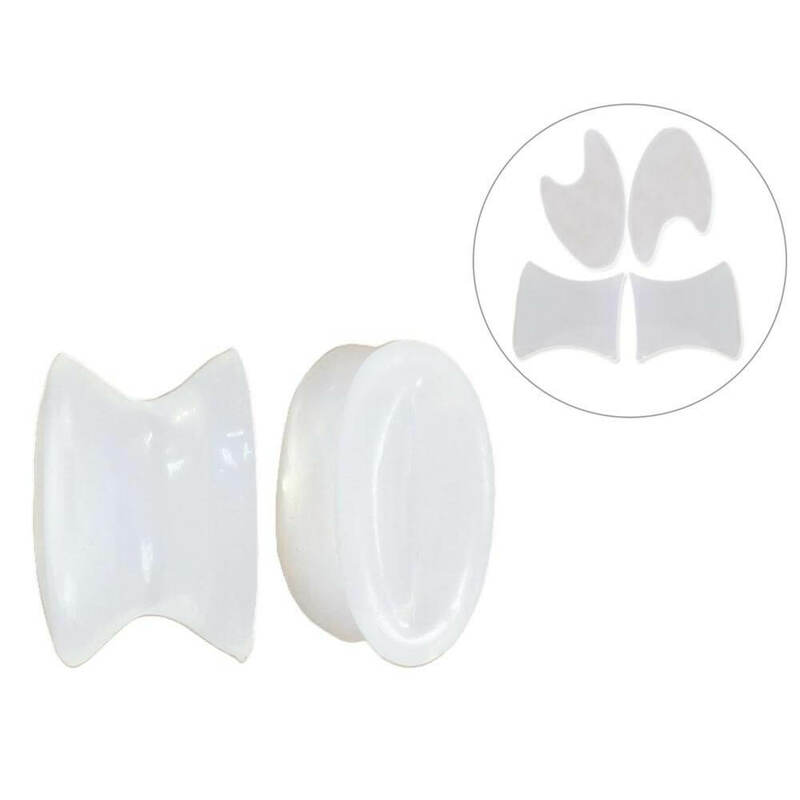 Soft Seam eliminates the bulky and irritating side seam found on all other toe pads.Sizing:Small fits 13-13.5 pointe shoes, Medium fits 1-3 pointe shoes, Large fits 3.5 and over point shoes. 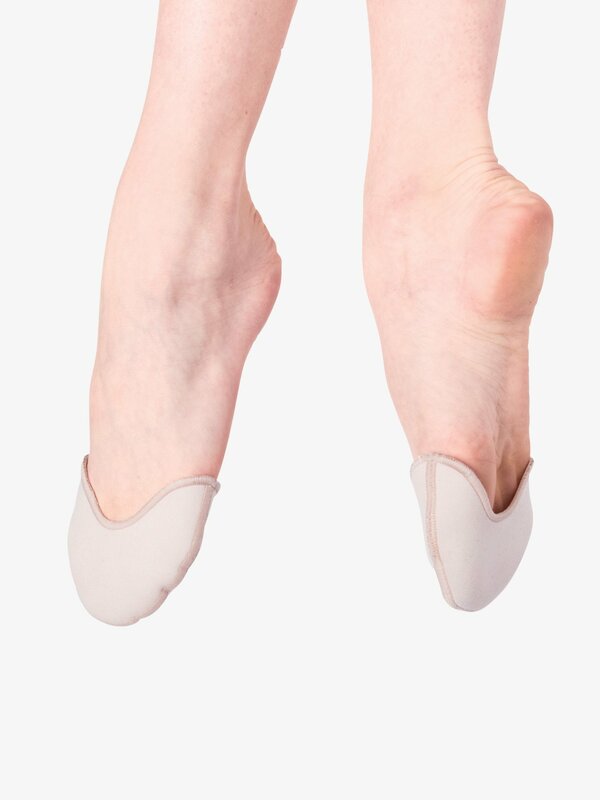 Pillows For Pointe Xtra Long Toe Pillows LCTPX: Designed for dancers with long toes or feet, these soft Lambs Curl Toe Pillows feature an exclusive soft seam that eliminates the bulky and irritating side seam normally found on toe pads. Pillows For Pointe Lambs Wool 1 Oz. LLW: Loose lamb's wool comes in it's own canvas bag and is sterilized for purity. 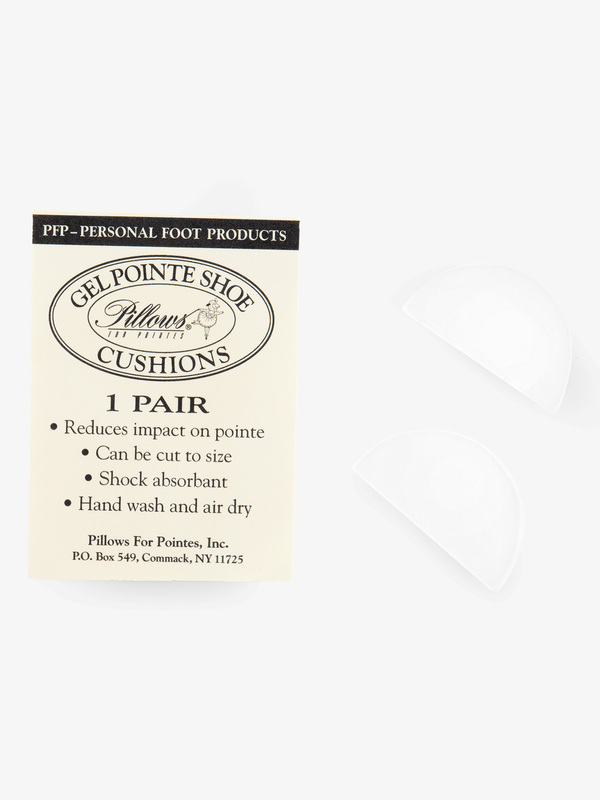 Pillows For Pointe Super Gellows Toe Pads SUPG: Pillows for Pointe's Super Gellows are a dance bag must have! Features seamless Cool Max sock lining on each side of the toe pad, a thin layer of gel between sock layers to reduce impact to the foot, a reversible design, and two sizes for a better fit.Sizing:S/M fits up to size 4.5 pointe shoe size. M/L fits 5 and over. Can be cut to size. Pillows For Pointe Xtra Long Super Gellows SUPGX: Designed with a seamless cool max sock on both sides, these extra long super gellows feature a thin layer of gel between the socks to reduce impact on the foot. Designed for longer toes and feet.